I'll update this post once i get hold of a pc but for the meantime, i'd like to share this amazing Map app called HERE Maps by Nokia. This map has more information than what iOS maps has to offer. 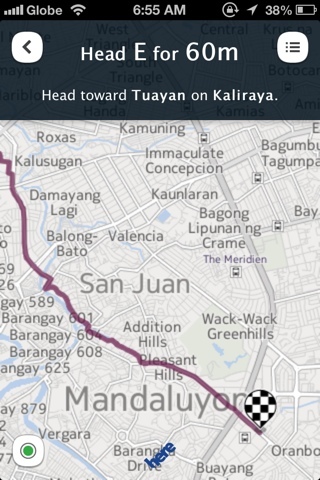 It also gives you turn by turn navigation for trip via road, walk and even public transpo! And it didnt stop there, guess what? It brought voice guidance to iOS. Ive been a nokia user and i know how good their maps are. I just cant believe they are bringing it over to iOS. It has limited capabilities at the moment, you cant know you current speed, you require data to get the maps info (but it provides you a way to download a map for a trip when there is wifi to save cost). You can download one from the AppStore and learn more about it.